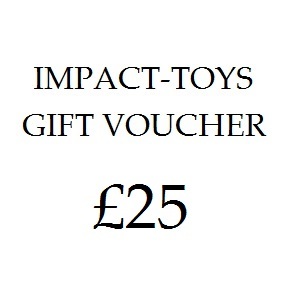 A £25 gift voucher to spend on any of the toys on Impact-Toys.com. It can also be redeemed against postage costs. Be the first to review “£25 Gift Voucher” Click here to cancel reply.